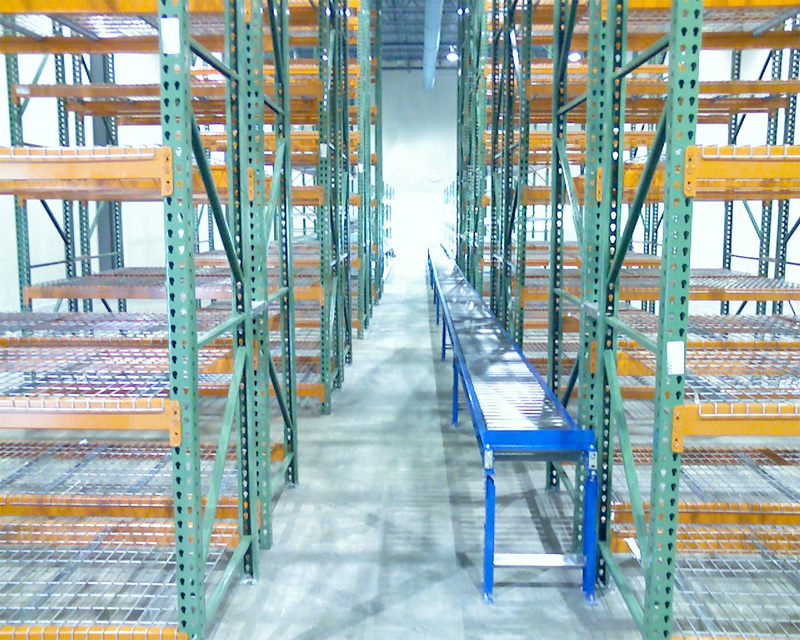 Looking for a material handling conveyors for your company? Carolina Material Handling has several different conveyor equipment options for you. We carry ball transfer, belt conveyors, roller conveyors, skate wheels and conveyor stands. Your assembly and transporting lines are important to us. We are sure to have a solution for all your industrial conveyor needs. Ball transfer table tops are used to move packages, crates and other materials easily in any direction. Move boxes, packages, crates, etc. quickly and effortlessly. 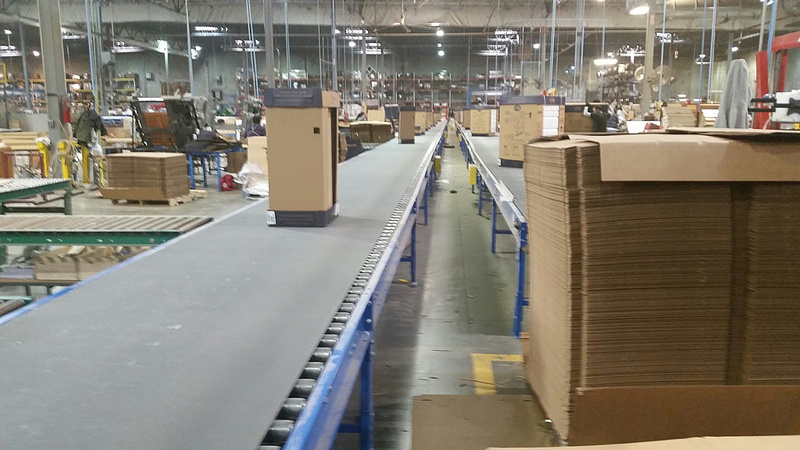 These conveyors are commonly used for assembly lines, package and carton movement by hand. 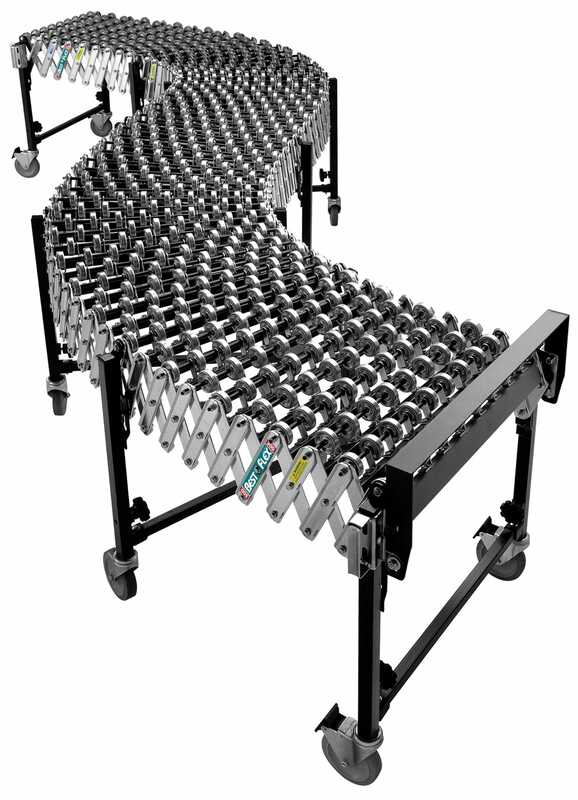 The ball transfer conveyor can handle up to 50 pounds on each top. 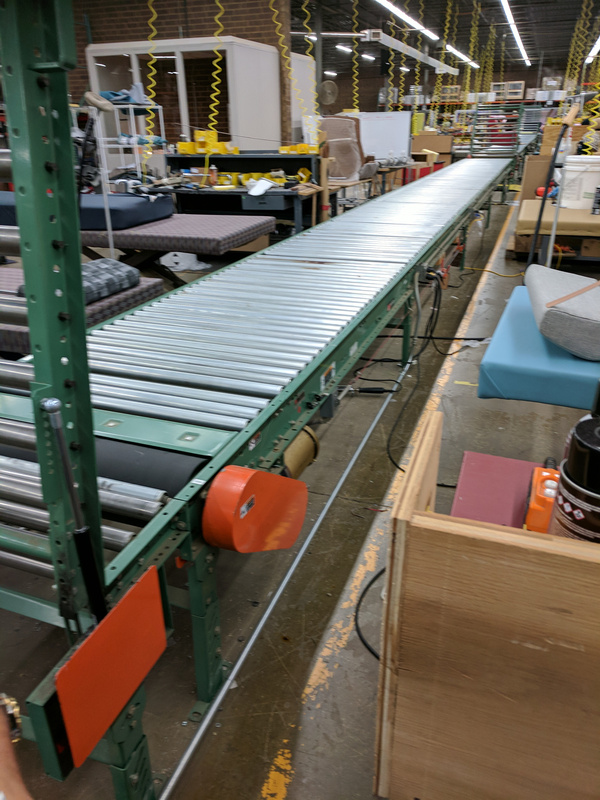 Our belt conveyor systems are offered in many different varieties including heavy duty slider bed power conveyors, mini-veyors, parts-veyors, and slim line power conveyors. The heavy duty slider bed power conveyor is designed for semi-permanent installation to move parts, packages, and more. Mini-veyors are created to provide a solution for limited space facilities to move smaller parts. Parts-veyors are similar to mini-veyors except they are inclined with several sections. Slim line power conveyors are portable, lightweight and ideal for loading and unloading of packages. Belt conveyor system have several applications that include production lines, assembly lines, food handling and to load and unload trucks and trailers. Gravity skate wheel conveyors offer smooth movement of multi-sized packages and products. 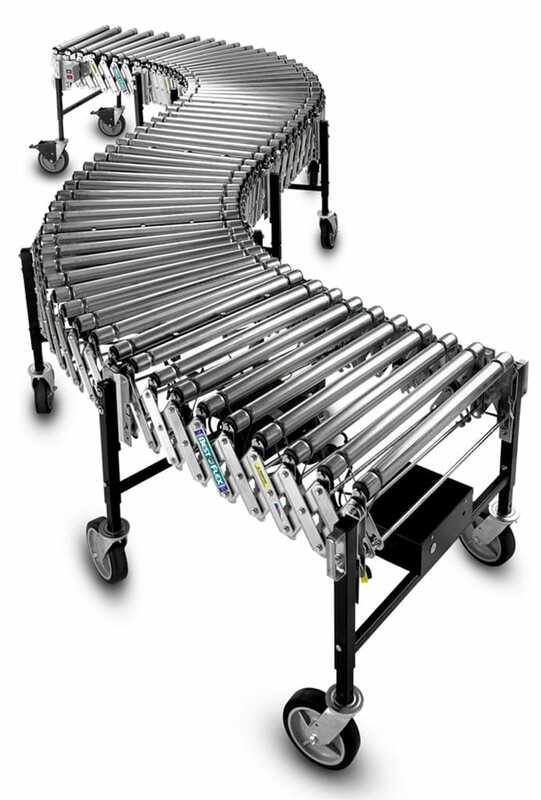 We offer light and heavy duty accordion expandable conveyors. Our heavy duty accordion selections feature double cross braces and double wall inner leg supports. 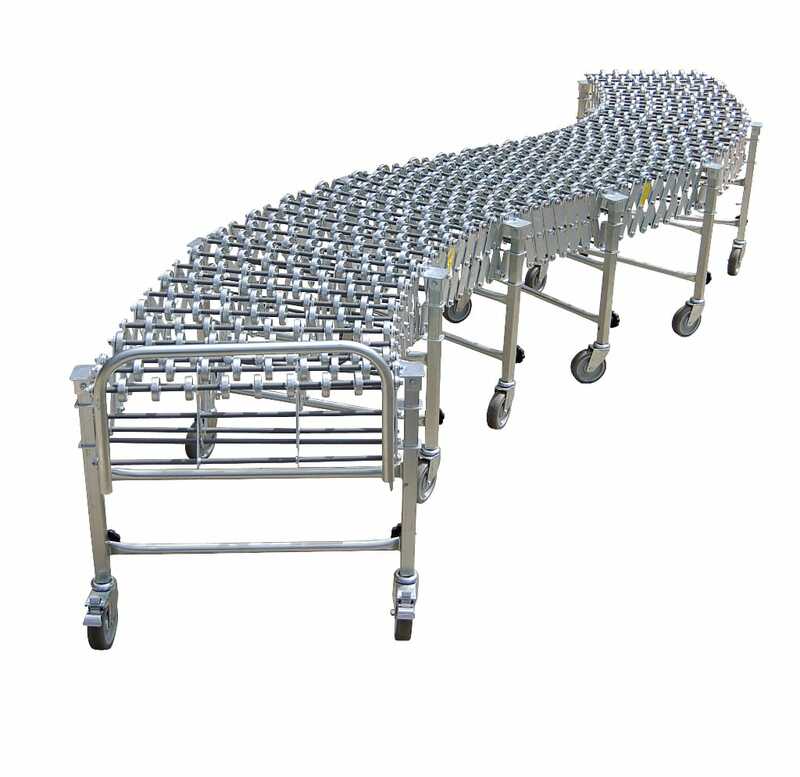 Gravity skate wheel conveyors allow complete portability, expansion, contraction, and flexibility. They are designed to improve shipping, transportation, and packaging efficiency in retail store receiving, distribution center shipping and packaging applications. 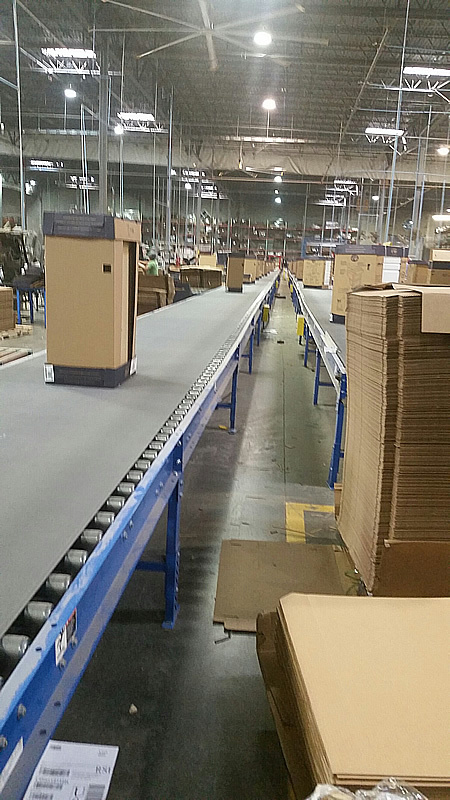 Roller conveyors are popular for side loading and temporary accumulation of products. Our rollers are made from PVC or stainless steel materials. Some of the rollers are driven by a belt under the roller and are either PVC belting or v-belts. We also carry chain driven live roller conveyors. 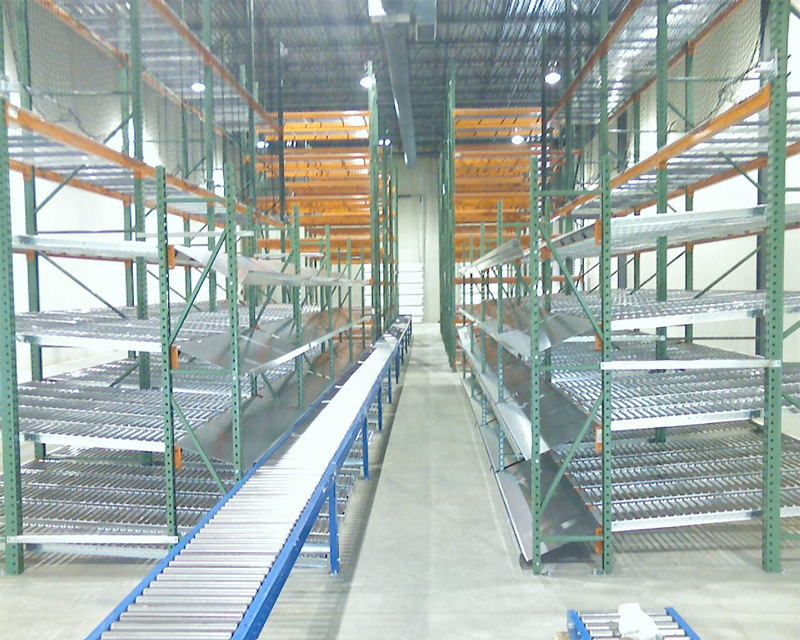 Our selection includes heavy, medium and light duty roller conveyors. 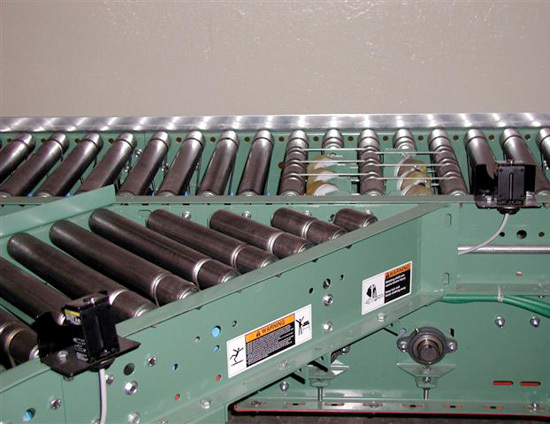 Accordion roller conveyors are commonly used for unloading and loading trucks in smaller spaces. Roller and accordion conveyor applications range from basic transportation of packages, boxes and cartons to moving large heavy items like pallets, steel drums and bulk containers. 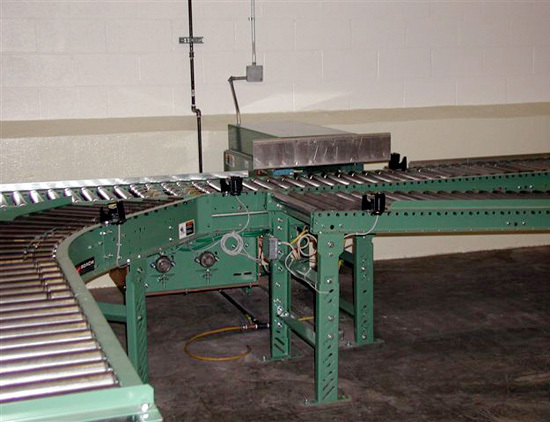 Our belt conveyor systems are offered in many different varieties including heavy duty slider bed power conveyors, mini-veyors, parts-veyors, and slim line power conveyors. 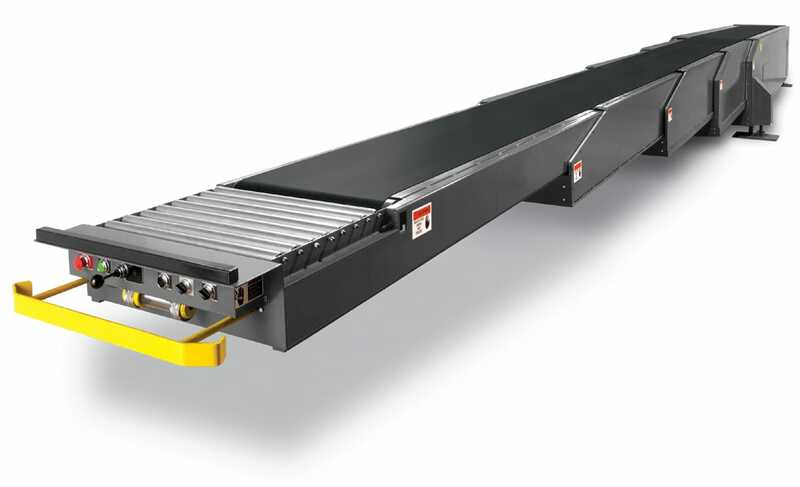 The heavy duty slider bed power conveyor is designed for semi-permanent installation to move parts, packages, and more. Mini-veyors are created to provide a solution for limited space facilities to move smaller parts. Parts-veyors are similar to mini-veyors except they are inclined with several sections. Slim line power conveyors are portable, lightweight and ideal for loading and unloading of packages. Belt conveyor systems have several applications that include production lines, assembly lines, food handling and loading and unloading trailers. Our conveyor stands and supports are essential to keep your systems moving. The tripod support adjusts up and down and is essential for fast installation of temporary gravity lines. The adjustable light duty permanent H-type supports are for permanent conveyors. Mobile stands are for skate wheel and light duty conveyors only. The roller stands are light and provide portability and versatility. Carolina Material Handling, your choice for industrial material handling equipment, keeps your products moving with our selection of conveyors. 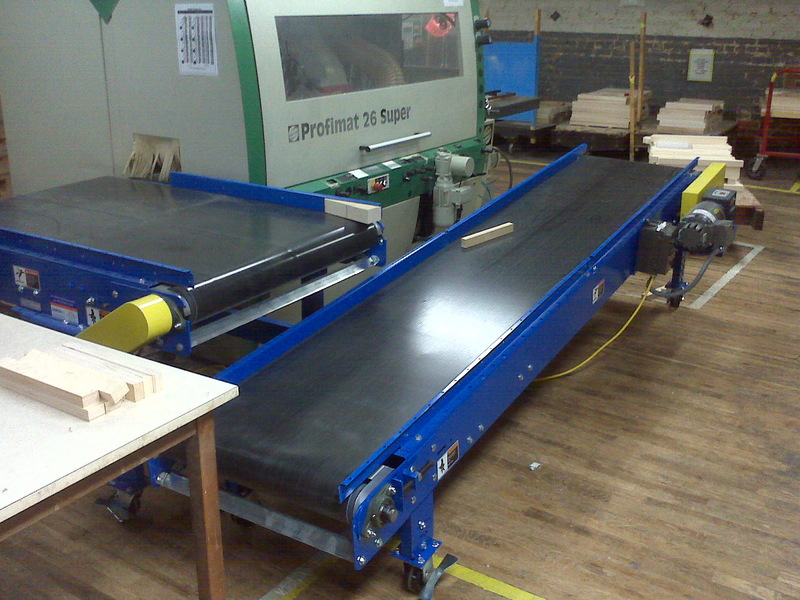 Whether you need a temporary or permanent conveyor solution, we can help. Give us a call today to discuss your unique needs.